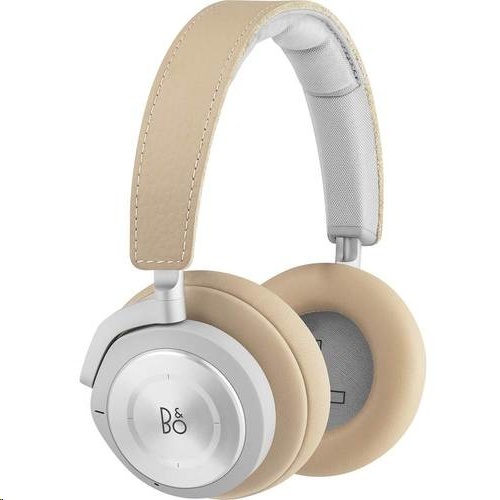 Listen to music your way with these Bang & Olufsen headphones. The active noise cancellation technology keeps ambient background sounds from affecting your audio experience, and the touch interface lets you easily control volume and playback. These Bang & Olufsen headphones include a rechargeable battery that supports up to 18 hours of Bluetooth streaming. Enables simple wireless pairing with your Bluetooth-enabled device. Offers up to 24 hours of use on a charge. Effectively blocks out distracting background noises, so you can enjoy a focused, immersive sound environment. Include volume, power on/off, answer/end, play/pause, next/previous track, pair mode, noise-cancellation suspend button and audio transparency.